Drug addiction is a growing national health crisis. With regularity, you will find numerous articles and media segments devoted to information about addiction and all the pertinent statistics. 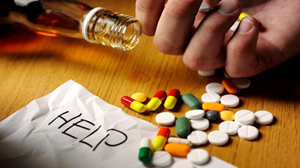 However, those items rarely suggest a solution to the drug addiction epidemic. At TALKInternational.com, we feel strongly about sharing solutions to problems, especially when an effective holistic approach becomes available. Because of our own personal story, we feel compelled to let people know there is an answer to addiction using holistic techniques, known as the Pouyan Method. Dori Rota shares her story about successfully saving her son from heroin addiction after having lost her oldest son to this terrible epidemic. The Pouyan Method: Innovative, Holistic Treatment for Drug Addiction, PTSD, and more. Library and Resource Area: Check back often for more information about natural approaches to drug addiction.